Amid slowing demand in the U.S., the Beaverton, Oregon-based company announced a 48-hour sale of as much as 40 percent on more than 200 items on its website. Nike hasn’t relied on discounts as much as rivals. The world’s biggest sports brand never really needed to — until now. Amid slowing demand in the U.S., the Beaverton, Oregon-based tennis-shoe giant announced a 48-hour sale of as much as 40 percent off on more than 200 items on its website, including products from its premium Jordan brand. The lower prices were also advertised through Groupon’s site. Matt Powell, an analyst for researcher NPD Group, called the event “unprecedented” in a post on Twitter. The tennis-shoe industry “is going the way of the rest of teen retail” in needing discounts to sell products, he said. 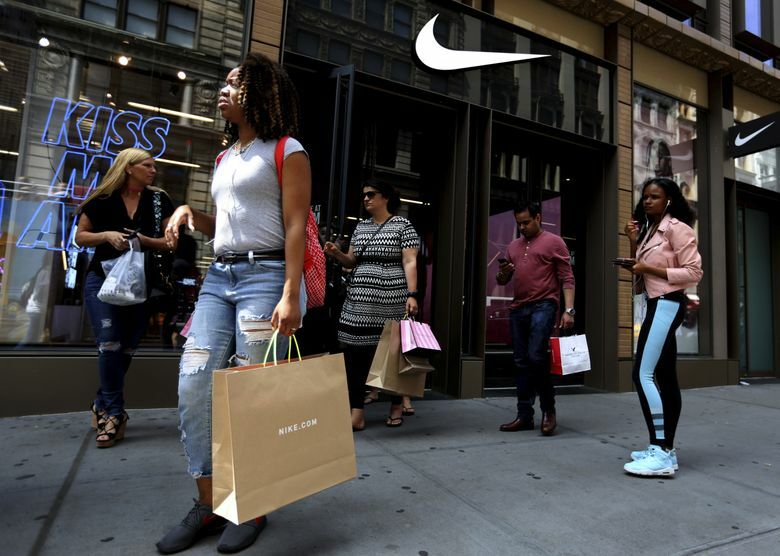 The markdowns come as U.S. teens shy away from Nike and opt for rivals Adidas and Vans, according to a survey released this week by Piper Jaffray. Nike remained the favorite sports brand among upper-income teenagers, with 46 percent of respondents naming it. But that’s down from 51 percent a year ago. Affinity for Adidas nearly doubled to 11 percent and Vans, which is owned by VF Corp., gained 300 basis points to 12 percent. The once highflying U.S. tennis shoe and sports-apparel industry’s slump has deepened this year. There’s more competition with nonsports brands selling athletic-looking gear. And after years of fashion trending toward sporty looks, tastes are shifting. Nike’s sales in North America fell 3 percent last quarter, and it forecast another decline for the current one. Nike’s stock is down 2.7 percent over the past 12 months. But that’s better than other key players. The shares of Under Armour and Foot Locker have fallen more than 50 percent in the same period, making them the two worst-performing stocks in the S&P 500.